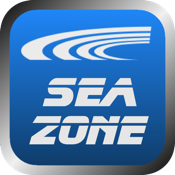 SeaZone RC is the remote control for Sea Zone's digital electrical marine systems. With SeaZone RC the owner can easily create safe and easy-to-use virtual instrument panels controlling all aspects of the Sea Zone system. Sea Zone develops configurable, fully integrated and easily installed digital electrical systems for all boat and marine electrical functions. Sea Zone’s solutions save space, time, money and weight, and improve electrical safety onboard.